We have finally reached Mid Camp! Sorry for the delay in the blog posts but we have been busy little bees! This morning was the room swap! That means everyone gets to have a new room mate and the best part clean their room! We have a giant goal chart in our main room, this allows us to show each other how many of our participants have reached certain goals. 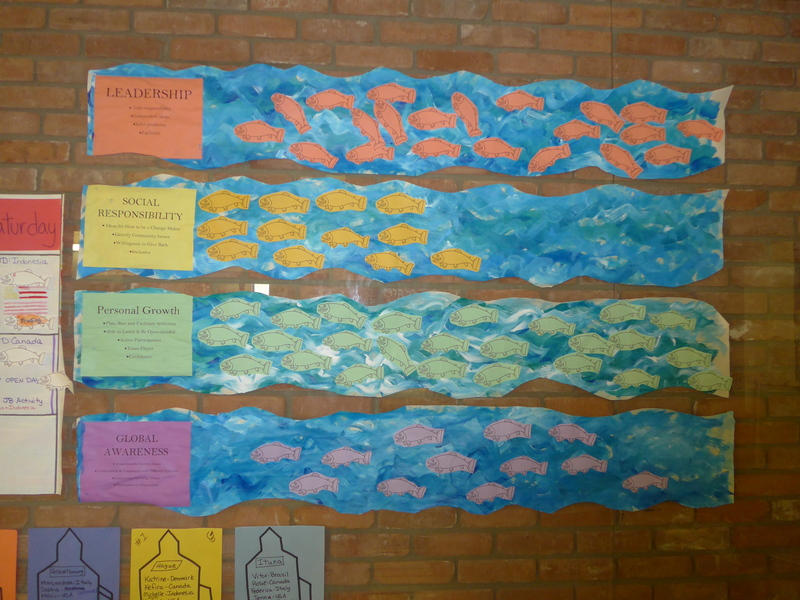 Each stream represents a Step Up goal and each fish one of our participants! You will notice personal growth is very highly populated! That’s because all our participants are working hard on their team work and leadership skills as they plan their own activity, run their own camp meetings and even organize things like monitos and help run the camp shop! They are becoming more independent and responsible. Speaking of Monitos!! Thanks to our monito committee (Nici – Austria and Tia -Jordan) we started the monitos last night. Everyone received the name of someone else from camp and they have to be nice to that person as a secret friend, leave them up lifting notes or buy them a treat from the camp shop. 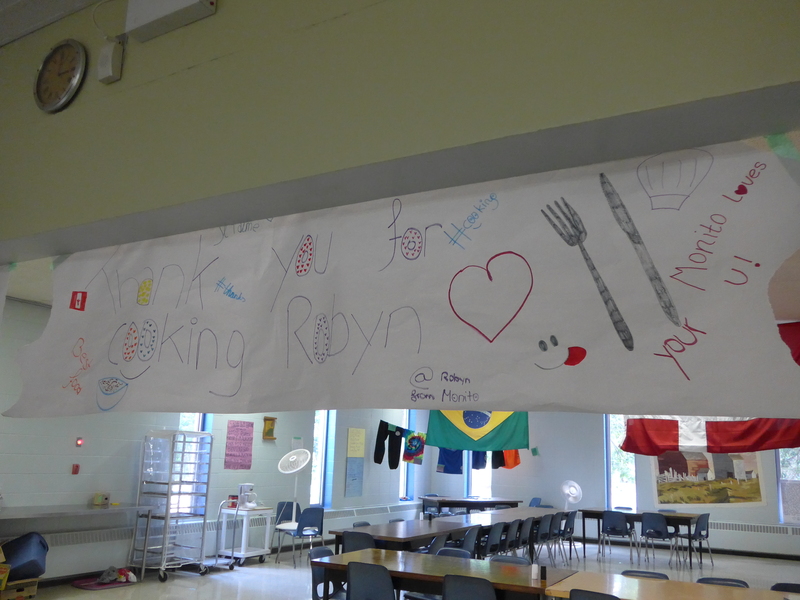 Robyn received this beautiful banner this morning. In the afternoon we did a scavenger hunt with each of us having a disability. 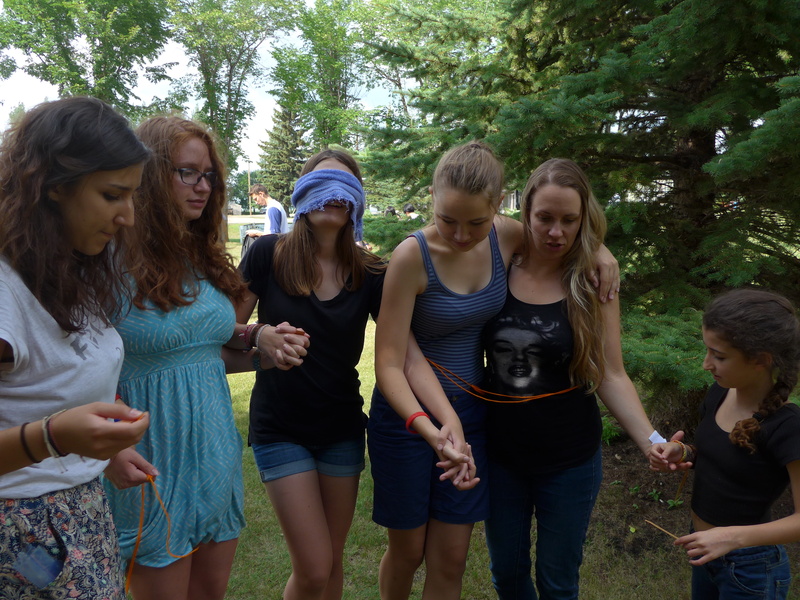 Some were tied together, some blind, some un able to walk or talk, We had to work as a team to complete the scavenger hunt.